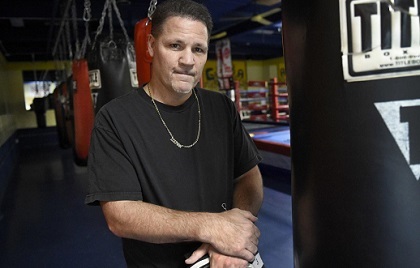 “Iceman” John Scully has been in the sport for over 30 years, having transitioned from a world title challenger, to boxing analyst to a world class trainer. 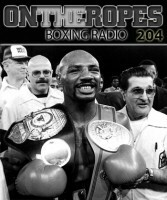 He has taken fighters to championship belts and is highly respected for his knowledge and views on the sport. 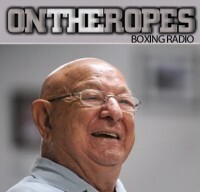 I recently had a chance to speak to John Scully and I got his views on many of the hottest topics in boxing. Scully shared his thoughts on the first Wilder vs Fury bout and talks about what he sees happening in the rematch. 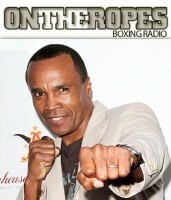 Additionally, John gives his thoughts on the Broner vs. Pacquiao result and talks about Adrien Broner as a person. Here is what John Scully had to say. Robert Brown: Wilder vs. Fury was one of the best biggest fights last year and it also produced a controversial decision. Were surprised by how close that fight was? John Scully: No, not at all. 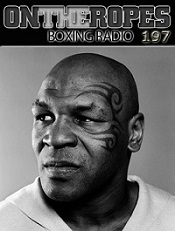 Like I said, and I said it months earlier, I felt that if Tyson was prepared and at his best he would beat Deontay. I picked Fury to beat Klitschko and the reason being is just that style, that awkward style, and also his confidence level. Tyson fury exudes confidence when he’s fighting and that holds a place in the fight. I just thought that he controlled the fight for great portions of it. If you take the knockdowns away then I think it’s a clear victory. As devastating as the last knockdown was, I think people give Wilder too much credit because of that knockdown. The fact remains, the knockdown only gives one extra point, that’s it. Because it was a big knockdown, people act as if it gives him five extra points or something, but that’s not how it works. Other than the knockdowns, do you think that Tyson won by more than two rounds? I think that’s a very obvious yes. I’d love to see the fight again, I’d love to see the rematch. 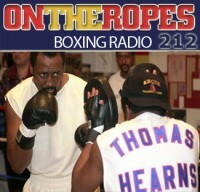 Robert Brown: What are your thoughts on the rematch and who would you be tipping in that fight? John Scully: I think I would go with Fury, just because I think he will adjust better. I think he has a higher boxing IQ than Deontay. I feel that after Deontay’s had forty fights, if he hasn’t adjusted by now — and I know for a fact that Mark Breland is working with on these things, but I just feel that Deontay has been on that knockout mode and I think he doesn’t feel the necessary reason to improve in these areas. Maybe this fight will make him realize that he needs to because he was shown to be limited to a certain degree. Wilder’s power, tenacity and killer instinct has been more than enough to be successful thus far but he was shown to have a little bit of weakness here by Tyson. Robert Brown: Adrien Broner vs. Manny Pacquaio happened recently, what were your thoughts? John Scully: I didn’t pay any money for it. I don’t want to be part of giving Adrien Broner money. I don’t want any of my money to go into his pocket. I normally put personal things aside when I watch fights and I don’t care what they do, but Adrien from what I’ve seen, he’s not a good person, he’s not a good guy. There’s no way around that, some people are not good guys. I didn’t watch it and I didn’t have any interest in the fight. I certainly didn’t want to see him win. Everybody that I talked to said that he lost convincingly, and that’s good enough for me. Robert Brown: Broner acted like he thought he won the fight, even though he barely landed any shots, do you believe he believes he won? John Scully: Yes I do, and I think that’s an indication of what we’re dealing with. In all seriousness, I’ve considered the fact that he might be somewhat mentally ill. His actions outside the ring and videos I’ve see of his way of thinking about that fight, I think maybe he’s bipolar or something like that. He’s shown signs of it away from the ring. How he possibly could have thought that he won that fight — he had it like he won convincingly. I believe he’s the only person on the face of the earth who actually believes that. Robert Brown: Some people compare Adrien Broner to a younger Floyd Mayweather in terms of his outside the ring persona. How do you compare them? John Scully: Floyd was different because he wasn’t ignorant. He didn’t act ignorant, he was loud and he was cocky but he didn’t act ignorant. After the fights, even when he fought Arturo Gatti, he was very cordial and respectful. He gave his opponents all the credit in the world. If you pay close attention, you’ll see that a lot of it was for the build up of the fight with Floyd. Adrien is like this before the fight, during the fight, after the fight, and then away from the fight he’s like that. He’s one of the few guys that I can honestly say I’m not a fan of in any way. Check out Scully’s fan page to read about his help to former boxers who have declined since retiring from boxing. 8 Responses to "John Scully: “I believe Adrien Broner is the only person on the face of the earth who actually believes he beat Manny Pacquiao”"
Honestly pacquiao looked like a shell of himself. I think this fight was a set up. Broner never came to win, this was a Haymon set up to feed Pacquiao to Mayweather. Match him right, make people forget he got owned, then do the rematch. Broner & Mayweather are the same in-and-out of the ring. Mayweather Jr and Broner are the same in and out of the ring. Mayweather is a disgrace in boxing. He’s simply back being a chicken again. Why would they say he’s retired when he’s been fighting other fighters! d guy is nothing but a joker in boxing and u’r d victim. Kindly tell John Scully to tell his comment to Oscar Dela Hoya, Danny Garcia and Keith Thurman to name some, who also believes that Broner is the winner before the fight! With all due respect but it doesn’t matter who people chose to win the fight beforehand. Matters who they think thought won it after.